Last summer, I wanted to treat my son Miles to a diabetes vacation. No, not the kind you’re thinking of — though taking this disease off his mind for a few days is something I would do in a heartbeat. I mean an actual vacation, to a sunny Disney resort with gaggles of other kids fighting the blood sugar monster every day. Five days of sun, fun, and carb-counting with CGM-beeping, insulin-pump-wearing, jumping-in-the-pool-and-loving-every-minute-of-it kids and young adults from all over the country. The Friends for Life® conference in Orlando is the biggest type 1 diabetes party you can imagine, and it was calling his name. Miles’ dad and I decided to take him by himself, arguing that he deserved something special for all he deals with every day — and cringing at the cost of the trip for a family of five. His two siblings would just have to understand. 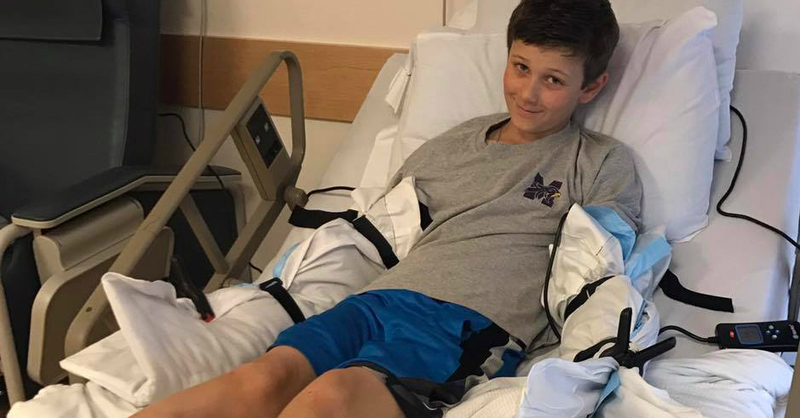 But when Miles was asked to help with a clinical trial and learned that the stipend was generous, he asked if he could use the money to help fund his brother’s and sister’s expenses to join us in Florida. Touched, we agreed. Miles endured three days of in-clinic paperwork and pokes, and proudly tested out the latest upgrade to one of his existing devices. (What a kid.) The following month, all five of us had a blast in Orlando, and earlier this year, that device he tested out was approved by the FDA. Yay! Regardless of the impact that this particular trial had on my family’s summer plans, participating in research feels like the right thing to do. But it’s not always easy to know how. Like many parents dealing with the realities of a new diagnosis, we supported the fundraising efforts of JDRF and the American Diabetes Association, the two leading diabetes research organizations, from the very beginning. But after completing two marathons myself and several walks and rides as a family, we were soon looking for new ways to help without having to ask our friends for donations every time. The Diabetes Online Community, or DOC, is a term used to describe a group of passionate diabetes patients and advocates connected through social media and other online networks. Type in #DOC and you’ll find a variety of folks sharing their experiences and discussing the latest breakthroughs in diabetes treatments, as well as those currently under way. #Wearenotwaiting is just one group that emerged from the DOC and is truly taking research into their own hands. Another group, Diabetes Social Media Advocacy (#DSMA), hosts weekly Twitter chats every Wednesday at 9 p.m. Eastern to provoke conversation and support for the diabetes community. Sign Up for Clinical Trials. Participate in Focus Groups and Usability Studies. Many diabetes conferences offer sponsors the chance to host focus groups to get real-world feedback from families like yours. Focus groups are hosted by companies looking for your input so they can make better diabetes products and involve you in the development process. Check out the agenda ahead of time and make time to participate in a focus group. Not attending any diabetes conferences or seminars? Ask your child’s therapy or device vendor how you can be informed of usability studies or surveys. You may just see your feedback utilized in a future product pipeline! Perhaps the easiest way you can support diabetes research is by speaking up and asking questions at your child’s next endocrinologist appointment. True, time is often tight, but by bringing up real issues and asking your CDE (certified diabetes educator) or physician about that breakthrough product you heard about from the DOC, you are making your needs heard. Your health care team meets regularly and discusses what issues are important to their patients. Your voice will be amplified by the voices of all the parents that came before you, helping your clinic with their efforts to improve care in any way they can. Of course, participating in community events while raising much-needed research dollars goes a long way too! But don’t forget there are many other ways you can support diabetes research by donating your time, thoughts, and biological samples. Friends for Life is a registered trademark of T-1 Today, Inc. All other trademarks are the property of their respective owners. JDRF Government Day: What Can You Do?